3. 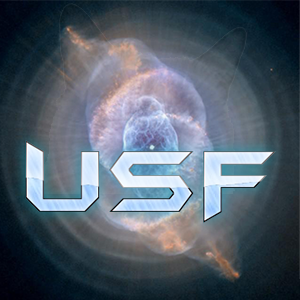 How did you find out about [USF]: I heard that it's another old clan so i join. 4. Were you recruited by someone, If so, state their username: Hunter owner of CLAN Maybe? 5. Why do you wish to join [USF]: Cuz i need a clan. 14. What will you do to benefit the clan: Nothing...? Alright I’m gonna be super blunt with you: this application is nowhere near impressive as you have several questions unanswered and the same response for two seperate questions and overall the quality of many answers that were given isn’t that good. So answer this for me: why should we even consider accepting you? This application is of an abysmal quality. The applicant's response to question #3 is invalid and the information that he/she should have provided there can only be inferred based on his/her response to question #4. The applicant's response to question #5 is vague and lacks detail - one does not "need" a clan. If the applicant wishes to make such a claim, he/she should have elaborated further on why he/she considers being a member of a clan a necessity. The applicant's response to question #6 is invalid - the auto-assigned KDR rank in Plazma Burst 2 provides very limited insight into the skill of a player. The applicant's response to question #7 is invalid - an ellipsis is not an acceptable substitute for the three adjectives that were requested. The applicant's three reasons in response to question #13 are all invalid - the strength/power and longevity of the United Special Forces are not acceptable reasons for why the administration should accept him/her as a member, nor is the simple fact that he/she wishes to become a member. The applicant's response to question #14 demonstrates that his/her filing of this application was an utter waste of his/her time (and that of the Staff, for having to evaluate it) as he/she is unwilling or unable - undoubtedly the former - to contribute in any beneficial manner to the community. The applicant's response to question #15 is invalid - listing a style of game design does not describe the applicant's individual gaming style or skills, in any way. The applicant's response to question #18 is invalid - it can be reasonably assumed that the applicant either did not read the question or simply did not care enough to properly respond to it, as he/she simply repeated his/her response to question #17 (which does not explain why he/she left either of those clans). The second portion of the applicant's response to question #19 is invalid - there are not 6 weeks in a day (there are 24 hours in a day and 1008 hours in 6 weeks, so it is impossible for the applicant to be active for 1008 hours at a time, within the span of 24 hours), and he/she did not specify whether that availability is with regards to Discord activity or in-game activity. The applicant's response to question #23 is misleading and dishonest - he/she claims to have not left USF, yet he/she has submitted an application with the intention of being accepted, as a member - and our records indicate that he/she has never been a member of USF, in the past. The applicant has decided to withdraw his/her application and not pursue joining the United Special Forces after he/she was informed of the abhorrent quality of his/her application and how he/she was expected to correct the many invalid and careless responses.